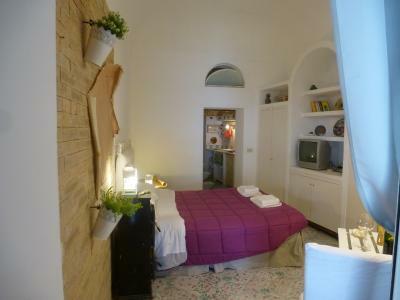 Lock in a great price for la cabina del Capitano – rated 8.9 by recent guests! The character and charm of the apartment was great! 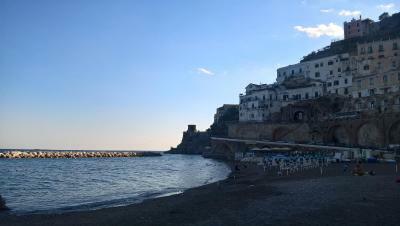 It was a cool temperature inside and right in the centre of Atrani and an easy 10 min walk to Amalfi. We loved everything about this apartment. I would recommend anyone to stay here. It had everything we wanted and more. La Cabina del Capitano Was such a great experience. We really enjoyed it a lot : very original, neat and cosy. Wish we could stay more !! 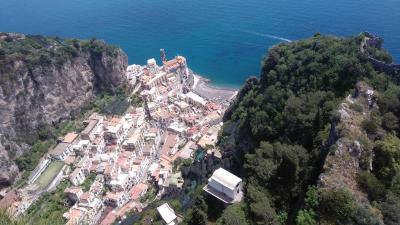 Very well located, only a few minutes from Amalfi, near the bus. Moreover, our host was so Nice and helpful. I highly recommend! 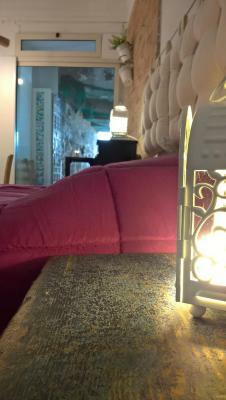 Very nice atmosphere and arrangement - a place with character. 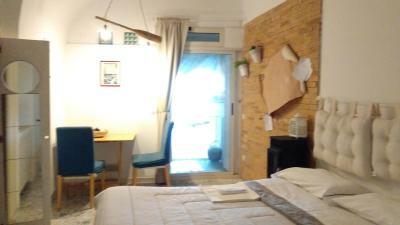 The place is cute, you can see the sea directly from your room! The room is clean with all the things you need. And there's a lot of brochures for traveling advise in the room. 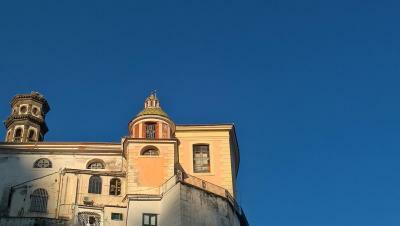 The city Atrani is very beautiful and nice for a quiet vacation. 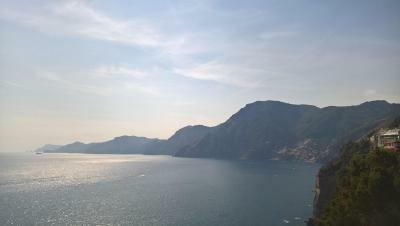 This place is 10 mins walk to city Amalfi which is absolutely convenient. 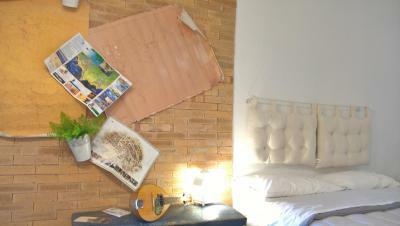 I would definitely recommend this room for those who want an unforgettable experience at Amalfi coast. 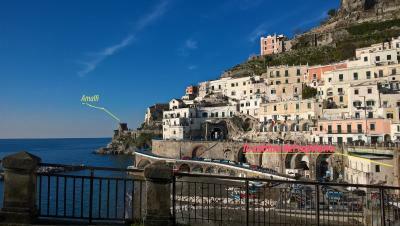 The room is located at Atrani, around 15 minutes walk from Amalfi (through the tunnel). Location was good but the view disappointed us. Kitchen facilities were all provided. 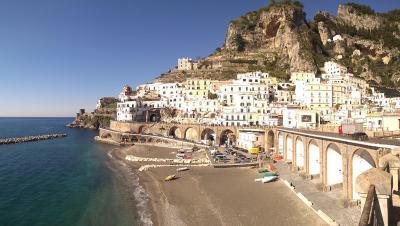 One of our best sellers in Atrani! 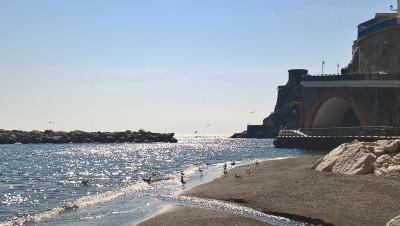 La cabina del Capitano is located in Atrani. 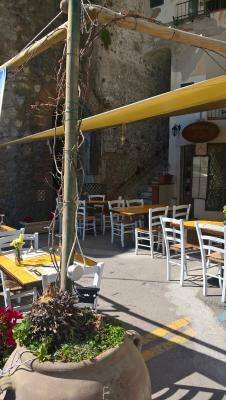 Guests staying at this bed and breakfast can use the fully equipped kitchenette and a balcony. 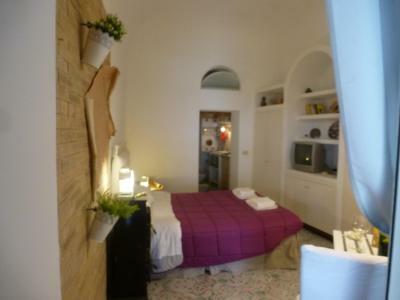 This bed and breakfast with sea views features 2 bedrooms and a bathroom with a shower. A TV is available. An Italian breakfast is available daily at the property. The bed and breakfast has a terrace. A car rental service is available at this property. 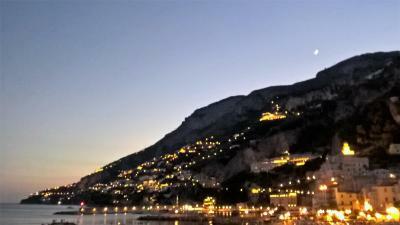 Sorrento is 20 miles from la cabina del Capitano, while Salerno is 16 miles from the property. 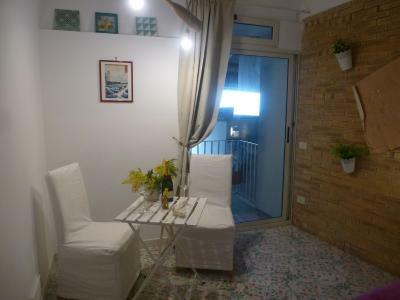 The nearest airport is Capodichino Airport, 40 miles from the accommodation. 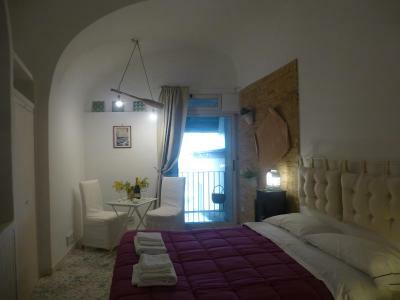 When would you like to stay at la cabina del Capitano? This suite has a balcony, stovetop and electric kettle. House Rules la cabina del Capitano takes special requests – add in the next step! People with difficulties in mobility would not suits here as there are many staircase, hill walk up to the main road and no lift in the building. in front of the beach, cool bars and restaurants in the square just next to the building. 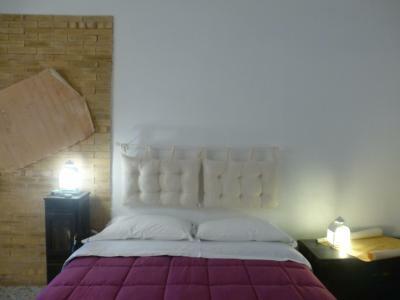 Apartment is cosy and located in the traditional style building. It was a very cool experience. Nice to have a washing machine and kitchen that is fully equipped. Comfortable bed and fast internet. Greeting and location were excellent . Cheap but you get what you pay for. 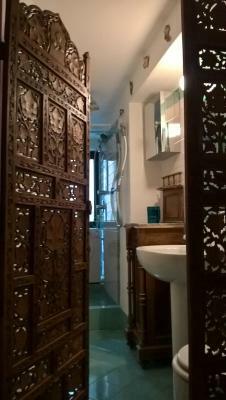 This was a very interesting apartment - very quirky! It was great for what we needed as we were literally only there to sleep. 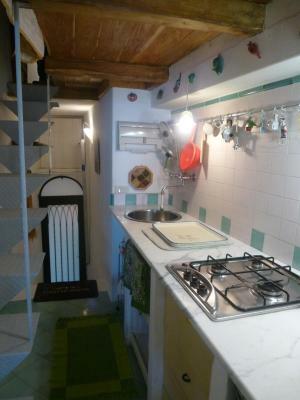 It had a very narrow kitchen, with quirky steel steps up to the bathroom (which didn’t have a proper door), and practically a washing machine in the shower! It was by no means luxury, but simple and did the job for what we needed. The bed was comfortable and we slept well. 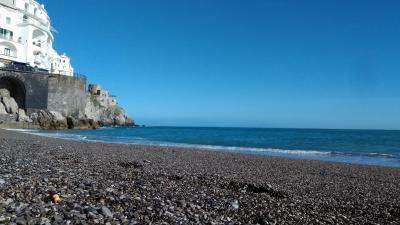 The location is great - a few steps away from the beach, and 5 minute walk to Amalfi. 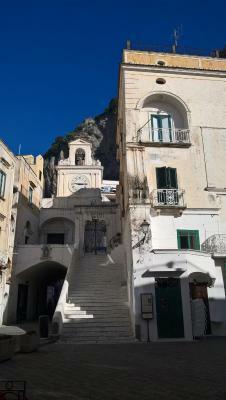 There are a couple of cafes / restaurants in the small square next to the apartment, however we found ourselves in Amalfi each evening as there is a lot more choice and supermarkets to pick up the essentials. The shower is quite small and we couldn’t figure out how to turn the light on. Could have done with some more glasses for drinking and a bigger mug for coffee or tea! Very poor Internet service and lack of mobile network coverage. You are practically cut off! A bitt small shower. key didn't fit lock properly so took ages to open the door. 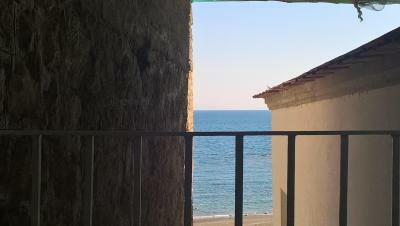 not on beach as advertised, sea view obscured by a wall, balcony only big enough for 1 chair. shower tray filthy, shower cubicle had window on to street with no blind or curtain! also washing machine in the cubicle so water all over electrics. tv didn't work. kitchen hob not working so solid electric plate provided instead. blocked fan in kitchen fell to bits in the night leaving plaster and debris. inadequate utensils and glasses. dangerous metal stairs to bathroom and childs bed, would never put a child of mine to sleep up there. 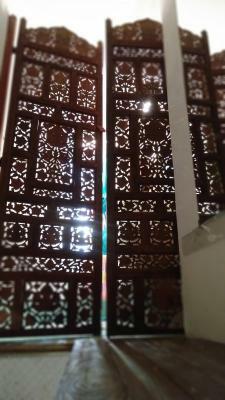 would be nice to have a proper door to the bathroom. Very nice place and staff.